It’s fair to say that this will be a busy weekend for the We Are Chester team and our good friends at Storyhouse and Flipside Radio. 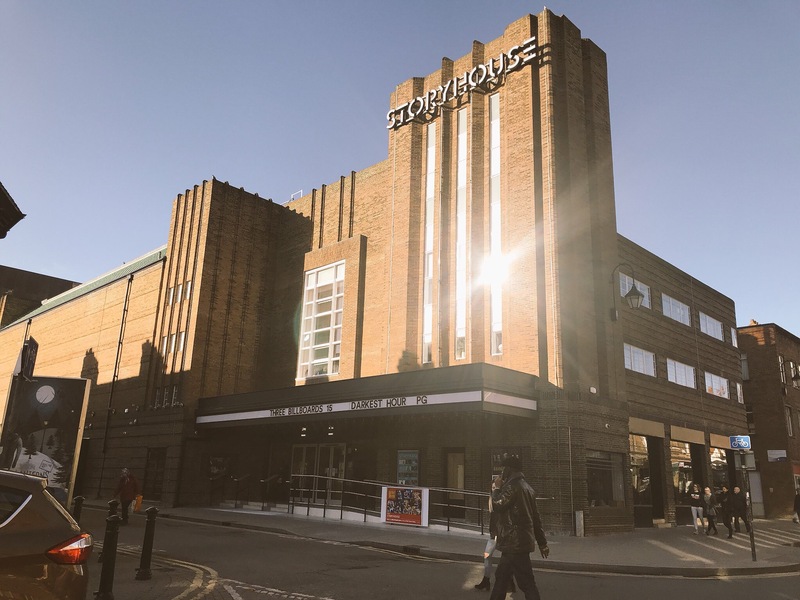 Editor Angela Ferguson will be at Storyhouse at 10am tomorrow (Saturday) to do a talk entitled Social Media: A Survival Guide as part of the Storyhouse Women weekend. It’s a festival for everyone that celebrates women and girls and includes a wide range of workshops, talks and activities. And as part of this festival, our writer Nala will be reviewing a special Storyhouse Women all-female line up for Our RITA’s Comedy Club at Storyhouse tomorrow (Saturday) night. The line up includes award-winning comedians and writers Vikki Stone and Kiri Pritchard-McLean, while Liverpool Comedian of the Year Nina Gilligan will act as MC. The festival kicked off in style last night with a talk from BBC Breakfast presenter and Chester resident Louise Minchin about her experiences of representing Great Britain at the World Triathlon Championships. A whole host of activities and workshops have been organised, from speed friending and a Feminippers workshop for young feminists to a Burlesque talk and a series of fascinating 10 minute tales from a range of inspiring women on Sunday. The events run right through to Sunday evening. Today’s activities will also include a workshop on Body Positivity in the Garret Theatre at 1pm today, led by Rachel Rama Walker from the Body Positive sexual health charity and activist Emi Lou Howe from the BodEquality campaign. And Rachel Rama Walker will also be out and about with fellow Flipside Radio presenter Parsley (both pictured above) tomorrow, chatting to various people involved with this festival for a Flipside Weekly special airing at 6pm on Wednesday 2 May. You can find out more about Storyhouse Women here.